Dave Robinson | Milwaukee Chapter H.O.G. REMINDER: Bring your starting mileage forms to the Chapter Meeting tomorrow, Tuesday April 16th to start recording your 2019 chapter milage. REMINDER: Bring your donations for the Racine Safe Haven for Girls to the chapter meeting. Run to the dollar store and spend a few bucks on anything young girls may need. Saturday March 2nd is the last time the HOG bowling league bowls this season because soon, (I hope!) we will be on our bikes riding the beautiful roads of Wisconsin –putting on some miles! Meet the bowlers at 3:00 pm at the Root River Center. The theme is Mardi Gras. Hooroo (good bye) for now. Due to an additional scheduling conflict, we have to change the date of the Bowling Banquet. There’s going to a heatwave this weekend! Come to Root River Center at 3:30pm on Saturday and cheer on your favorite bowler! Meet some brothers and sisters from other Chapters. Eat, drink and have some fun!!! The theme of the day is your favorite NFL team! Hope to see you there. Until then, stay warm and safe. Thank you for your support! The JFI Quilt tickets and Harley Quilt tickets will be on sale during Thursday’s Men’s Shopping night (Dec 13th from 6 pm – 9 pm). Also, the Milwaukee HOG Chapter Holiday Party tickets will be available and can be purchased that same night. The Harley Quilt drawing will be held on Friday December 21st at the House of Harley-Davidson at 6 pm. Tickets for both Quilts and the Holiday Party may also be purchased on Saturday the 15th and Saturday the 22nd at the House of Haley-Davidson Greenfield during regular business hours….the deadline to Holiday Party ticket purchases is January 5th, 2019. Tickets are also available at Chapter Meeting and during the Chapter Bowling League. Reminder: Chapter Meeting on December 18th at Root River Center. Social dinner at 5, social hour at 6, meeting starts at 7 pm. Lots of things at this meeting: Christmas Cookie Bake Sale, 50/50, Quilt Raffle Tickets, Holiday Party Tickets, plus tons of information! …Please come and join us. Well gang it’s Fish Fry and Burger time. Join us for some good food and great conversation. Memorial Service for John Behling: Memorial Service will be held on Thursday August 9th at 9:30 at Heritage Funeral Home at 6615 W Oklahoma Ave, Milwaukee, WI 53219. Thank you everyone for your warm wishes. It means a lot to the family that he had “his people”. – Mary Feinstein via Facebook Milwaukee Chapter page. It is with a heavy heart that we report that chapter member, chapter ambassador, and chapter road captain John “Destroyer” Behling Jr passed away in his sleep last night. Please keep John’s family and friends in your thoughts and prayers. As part of the 115th Anniversary Celebration, the House of Harley is having rides along the route used for the COPS Ride. The routes include a stop over at Veteran’s Park. This stop needs some volunteers to help with parking bikes and getting them out in an orderly fashion. The Rides are on Thursday, August 30th and Friday August 31st. The time that volunteers are needed is from 11 AM to around 1 PM. Please contact me, Steve Zaleski at roadcaptains@MilwaukeeChapter.com if you are able to help on any of these rides. Sign up for Sept Chapter Brunch!! My name is Joseph Alexander Suchorski. 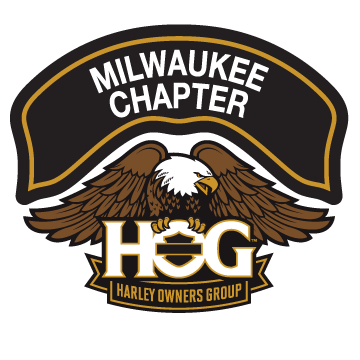 I am a Member of The Milwaukee Northwest H.O.G. at Milwaukee Harley Davidson. Our Chapter Director Jon “Iceman” Pykett asked our Chapter to share this with people who ride. Please see the forwarded message below. I am sharing this with The Milwaukee H.O.G. Chapter. This is a not a H.O.G. Event. Would it be possible for any or your Chapter Members to be able to attend this? I realize that this is short notice but I just received this E-mail Today myself. I receive your newsletters because I have Family Members that are Former Members of your H.O.G. Chapter. Ok boys and girls listen up! This is very important! We have a little boy who is turning 10 and sent 70 invites for his party only to get two RSVP in return. This boys name is Thomas and he happens to have Autism. He also happens to love Motorcycles! His mother is trying to arrange as many bikers as she can to meet up Sunday morning to show this little guy that he is special and that people do care. I’m calling everyone who rides! Let’s see if we can make it a special day for him! Because of the huge outpouring we got we change the meeting place to the parking lot of St. Vinnie’s in Slinger at 9:45 a.m. on the 15th, 445 E. Washington St. Slinger, WI 53086. Get off your tailpipe and let’s ride! If you ride then let’s go, if you don’t please share! Thank you all! If you can make it, I am sure that it will be greatly appreciated! To discontinue these messages, please change the ‘broadcast’ setting on your profile at mnwhog.com, or contact the webmaster. Thank you!Great, thanks!Awesome, thank you so much! Parade time/location change. Please note! PARADE UPDATE… please pass it on. The Greenfield parade staging is still at HOH The time now is 11:00am KSU Now at 11:30. They want the Milwaukee Chapter to step the Parade off at Noon instead of 12:15. We will be the pre-Parade. They want us to ride slow and loud to get the parade goers fired up. Pass it on to everyone you know riding in the parade. Thanks, Big Jer. For anyone who is going to the Brewers game Friday. We are meeting up at the Harley Museum at 5:00pm with KSU at 5:30pm. Parking is $12 a bike. Backcountry is inviting anyone who wants to go for a ride with him to get Chicken Q at the Rockton Bar on June 10, 2018. Backcountry is inviting anyone who wants to go for a ride with him to get Chicken Q at the Rockton Bar on June 10, 2018. Everyone is to meet up at Perkins on at the corner of Barker and Bluemound. He will be there for breakfast at 8am and KSU at 9am. Sign up for June Brunch at Gus’s Drive In! Road Runner Bike Blessing Ride on Sunday May 6. You must ride with the Chapter to park on the asphalt lot. Just a reminder that the brunch is going to be at Machine Shed in Pewaukee Sunday at 10 am. I hope to see everyone out there. Come out and support this event!! – Support our Chapter Charity (C.O.P.S.). Even if you aren’t displaying your goods to sell PLEASE come and check us out. You never know what you may find!!! Have you ever wondered what goes on behind the scenes of a Milwaukee Chapter Ride? Well, here is your chance to learn. The Road Captains are having their annual training on the techniques used to give the Chapter a safe and enjoyable ride experience. The ride after the class room portion will remain for Road Captains only, so they can shake off the Winter rust and practice what was taught. Class is being held on Saturday April 28 at the Root River Center, at Swaggers Pub.